How to Improve Your Child's Behavior The definitive program on how to teach Your Difficult Child better behavior and to help you become a more effective parent. You Will be Able to End the defiance, battles and vicious fighting in your home. Fix your relationship with your child. Bring peace and happiness to your home. Enjoy a more fulfilling relationship with your child. Have your child respect you. Regain control over your child, you life and your home. Put an to all the arguing, fighting, and talking back. Have your child obey you without complaining. Get rid of all the hostility. Gain absolute confidence as a parent and know how to handle any situation. The fourth edition of the Diagnostic and Statistical Manual (DSM-IV), published by the American Psychiatric Association APA in 1994, is the source of the official criteria for diagnosing attention-deficit hyperactivity disorder. The DSM-IV and more recently the DSM-IV-TR (text revised) lists nine specific symptoms under the category of inattention and nine specific symptoms under the hyperactive impulsive category. Part of the diagnostic criteria is that the child or teen often displays at least six of the nine symptoms of either the inattentive or the hyperactive impulsive categories. The lists below contain those symptoms or behaviors found in the DSM-IV (1994) and DSM-IV-TR (2000). Below are the symptoms specifically listed in the DSM (which are indicated in italics), as well as additional common and related behaviors (Rief, 2003). Once a child is identified and diagnosed with ADHD, there are many ways to help the child and the family. It is important to realize that ADHD is not something that can be cured, but it can be treated and managed effectively. The best way of doing so in most cases is through a multifaceted approach a multimodal plan of interventions, tailored to the needs of the individual child and family. (AAP, 2001a). This typically includes a combination of medical, behavioral psychosocial, and educational interventions, implemented as needed at different times in the child teen's life. Children with ADHD often do best with a combination of structuring of their environment (home, school, and other settings), medication, behavior modification and specific behavior management strategies implemented at home and school, educational supports accommodations, and counseling of some kind (for example, parent counseling and training, family or individual counseling) (Goldstein, 1999 Rief, 2003). Attention Deficit Hyperactivity Disorder (ADHD) begins in early childhood and has a significant impact on how children develop and how families function. This disorder affects how information in the brain is processed and is currently diagnosed in 3 to 5 percent of school-aged children. Children with ADHD are easily distracted, impulsive, have difficulty focusing and sustaining attention, and can be easily oversti-mulated. In addition to these characteristics, some children with ADHD are also hyperactive. While all children can be highly active or lack the ability to stay focused at times, children with ADHD exhibit these behaviors in combination with one another more frequently and with greater severity than other children of the same age. Children with ADHD may have significant impairments that can have a profound impact on their families. Children often forget what they have been told or defiantly oppose what is requested of them. They tend to be demanding, unpredictable, restless, quick tempered, forgetful, inconsistent in their school work, and socially immature. These experiences lead to increased levels of parental frustration. Many parents struggle with deciding on the best methods for disciplining their child. They may question if they are being too strict or too permissive. Parents may feel guilty and at fault for their child's problems. Fair and consistent disciplinary practices can help change behavior in a positive way. When the condition is identified early and adequate treatment plans are implemented, children with ADHD can have successful school experiences and can develop positive relationships with peers and adults. Students with ADHD whose school performance is significantly impacted by their ADHD may be entitled to services and supports under two federal laws (1) IDEA and (2) Section 504 of the Rehabilitation Act of 1973. If the team feels that a student may be in need of special education, they should make a referral for an evaluation under IDEA. However, many students with ADHD don't need a special education evaluation or qualify for special education. Instead, they should be considered for a Section 504 Plan evaluation, as described below. As I point out in another publication (Rief, 2003), this is a decision that the team (parents and school personnel) must make considering eligibility criteria and the specific needs of the individual student. For students with ADHD who have more significant school difficulties, IDEA is usually preferable because Remember A diagnosis of ADHD does not guarantee or automatically qualify a student for services or accommodations under either IDEA or Section 504. A school-based assessment must determine that the ADHD is adversely affecting the child's learning or educational performance. Under IDEA, that negative impact on the child s functioning at school must be to the degree that the team feels special education is necessary. Under Section 504, the negative effect of ADHD on the child's learning must be evident, but not necessarily to the degree that special education is needed. There is a new class of medication that is a selective norepinephrine reuptake inhibitor. This class of ADHD treatment works differently from the other ADHD medications available. This new drug is called Strattera and its generic name is atomoxetine. It was recently approved by the U.S. Federal Drug Administration (FDA) in the treatment of ADHD. Strattera is the first FDA-approved treatment for ADHD that is not a stimulant and is not a controlled substance (Sallee & Smirnov, 2003). Studies available in the literature at this time suggest that atomoxetine-related relief of ADHD symptoms is similar to the effect of methylphenidate (stimulants) when both are administered by clinical titration. Atomoxetine has demonstrated efficacy for ADHD symptoms irrespective of age and gender, and it appears to have advantages that include continuous coverage of symptoms throughout the work school day, evening, and potentially for an entire twenty-four hours (Sallee & Smirnov, 2003). Many children with ADHD are not socially accepted because they have poor skills in playing various games sports. It helps to involve them in as many opportunities as possible to build their skills and competencies so that peers will want to include them in their play and sport activities. As Dr. Pelham points out, in their renown summer treatment programs for children with ADHD, there is a major focus on teaching sports skills to the children. If you teach a child to be a better baseball player, and therefore make him more popular among children in the neighborhood, he'll be a better baseball player forever. Medication will help him pay attention when he's playing baseball, but it won't teach him to catch, throw, and hit. That's an example of where a child might have an attention problem and a skills deficit, and both forms of treatment might be helpful (Pelham, 2002). 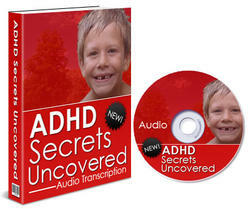 It is highly recommended for parents to start early in seeking help learning how to parent a child with ADHD. It can be exhausting and frustrating trying to cope with and manage the challenging behaviors and knowing how to best provide the necessary structure and support for the child. 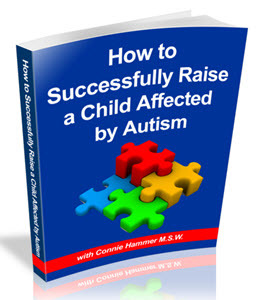 There are many resources available to help parents learn how to do so (for example, parenting classes, behavior management training, counseling, parent support groups such as CHADD, books videos, and other materials). When a child has ADHD and or LD, behaviors that impact on social and academic performance generally do not improve by just providing more time to mature. Other interventions will be necessary to specifically target their areas of weakness and build their skills. Early intervention makes a significant difference preventing for many children the devastating effects of failure, and often the need for special education in the future. Behavior management techniques for children with ADHD in kindergarten are basically the same as those in higher grades (for example, using a high degree of feedback visual prompting cueing proximity control group positive reinforcement systems corrective consequences that are applied consistently and individualized behavioral plans supports). The following are recommendations and examples from the nineteen kindergarten teachers regarding what they have found to be successful in their classrooms. Children with ADHD often have difficulty knowing and understanding their physical boundaries. They tend to invade other people's space and react adversely to being crowded, bumped into, and so forth. They need concrete visual structuring of their space (for example, colored masking or duct tape on the floor or table, a carpet square, or other means) that reminds them about what is their space. This includes the child's acceptable space on the rug, at tables, in line, and so on. It is important to find at least one other child for a student to attach to (someone accepting). For all children, especially those with special needs, having a friend makes all the difference in the world and can save the day. Children with ADHD often have significant difficulty making and keeping friends. Teachers will find themselves in the role of facilitator, trying to find a friend for this child. PD, PSP, and MSA, described in Question 17 earlier, fall into a category of disorders in which movement is either slowed or absent. Although the tremor in PD may resemble a hyperkinetic disorder, the fact that it occurs when the limb is at rest places it in the hypoki-netic category. It is important for teachers to be observant, and to try to determine the conditions or antecedents that precede challenging behaviors. With many children who have ADHD, their behavior and performance might fluctuate greatly depending on the day, situation, and even time of day. One teacher gave an example of a student who was falling apart and crying frequently. The teacher noticed that this was actually happening around 11 00 every day. Aware of the pattern and time factor, the teacher gave the child something she liked to do during this time (lead number rock music), which significantly helped the situation. She also shared with the parents and school nurse her observation about the child's deteriorating behavior at around this time. With this information, the physician changed the child's medication schedule, which completely eliminated the problem. He had a history of physical and emotional distress, which centered around his experiences in school. His behavior was impulsive and his teachers frequently telephoned home to tell his parents that Dan would not stay in his seat, was disruptive, and that they should try to better control his behavior at school. By fifth grade, Dan had several interventions, including stimulant medication and counseling. Although he achieved fairly well, but not up to his potential, he had been held back a grade due to emotional immaturity. Dan now had much difficulty with peer relationships. His parents pursued every avenue they could find in their search to help him, but not enough changed. Adolescents with ADHD may appear mature physically and grown up, but looks are deceiving. They are typically far less mature socially and emotionally than peers their own age, with a two-to four-year developmental delay in skills affecting their self-management. Parents and teachers need to be aware of this and not inadvertently place unrealistic expectations on them. Although they may be of an age when the expectation is to demonstrate more independence, responsibility, and self-control, the reality is that adolescents with ADHD take longer to exhibit those behaviors. They need more adult monitoring and direct support than their peers. These are years when it is very difficult for parents and teachers to find that proper balance how to teach our children to assume responsibility for their own learning and behavioral choices, and how to intervene as we guide and support them to success. As co-existing learning disabilities are common in children with ADHD, parents and teachers should be aware of signs of learning disabilities (LD). Some children may have learning disabilities that have gone undetected to this point. They may have achieved well in earlier grades, especially if they are very bright children. Academic performance problems most likely had been attributed to their ADHD. To determine whether or not a student has learning disabilities requires a psycho-educational evaluation. Educational interventions must be provided, addressing the student's individual learning needs. Children with ADHD are in particular need of a classroom that is well-structured meaning they know precisely what the expectations are from the minute they enter the room until the time they are dismissed at the end of the day. The structure that is necessary comes from teachers who clearly teach what is acceptable and unacceptable behavior and who provide predictability, consistency, and follow-through. These are probably the most important steps teachers can take to prevent or minimize common behavioral problems in the classroom. Some argue that Lyme produces many chronic symptoms in children, including attention deficit disorder and other unexplained conditions. It is important to recognize that Lyme disease is common. Therefore it will be found in a significant number of children with a wide variety of coincidental problems that are unrelated to Lyme disease. The issue seems clear-cut if the child's problems resolve with treatment, they were due to the Lyme disease, but if the problems are not related to Lyme, months or even years of antibiotics are unlikely to provide real relief. Students with ADHD, but also many others (for example, English language learners, students with learning disabilities in auditory processing), respond better to visual cues and prompts as opposed to a lot of verbal reminders and directions. Teachers should always maintain a visual schedule, write on the board or other consistent location all class and homework assignments, and post all daily weekly student responsibilities. Students with ADHD typically have the greatest behavioral difficulties during transitional times of the day in the classroom, as well as the school settings outside of the classroom that are less structured and less supervised (for example, playground, cafeteria, hallways, bathrooms). It is important to realize that students with ADHD need the opportunity to earn the reward of participation more frequently than the average child. It is often the case that they are penalized for their difficulties with work production by having to miss out on rewarding activities in order to complete unfinished assignments. When this is the case, teachers have to find ways to provide more support and accommodations to help ADHD students get caught up with their work, so that they can participate in rewarding activities along with their peers. Students with ADHD typically have the greatest behavioral difficulties during transitional times of the day in the classroom, as well as the school settings outside of the classroom that are less structured and less supervised (playground, cafeteria, hallways, bathrooms). In the average classroom, the time spent changing from one activity to the next cumulatively adds up to a significant number of minutes in the school day. Children with ADHD often have behavioral problems disengaging from or stopping one activity to move on to the next. The struggle they have with self-regulation and inhibition of their behavior frequently results in getting themselves in trouble during recess, riding the bus, waiting in the lunch line, on the way to the bathroom, in school assemblies, and so forth. Teachers are often frustrated with the disruptive and challenging behaviors of many students with ADHD. It is important to build a large repertoire of strategies and skills to effectively address and manage those behaviors in the classroom. This section will provide tips for dealing with challenging or hard-to-manage students. It will focus on the individualized supports and interventions the research-based approaches that work with this population of children and teens. These students typically need far closer monitoring, a higher rate and frequency of feedback, and more powerful incentives to modify their behavior than the average child. Home notes and daily report cards (DRCs) (Rief, 2003) are excellent tools for tracking and monitoring a student's social, academic, and or behavioral progress at school. They are highly effective for communicating between home and school and for monitoring a child's daily performance. When parents are willing and able to consistently follow through with reinforcement at home for positive performance at school, it is a very powerful motivator for the student. Any means to forge a partnership between home and school and work together on improving specific behavioral goals is very beneficial for children with ADHD. It is important that teachers and parents of children with ADHD be aware of strategies to prevent behavioral problems and how to intervene in a manner that helps the child teen regain self-control, rather than trigger an escalation of problem behavior. Such strategies and interpersonal skills are particularly necessary with a child teen who is emotionally fragile, overreactive, and or has a tendency to be oppositional and confrontational. The following tips can be applied in school or home situations (Rief, 2003). One of the key frustrations for teachers and parents of children with ADHD is getting the child to stop, listen, and comply with adult directions or commands. There are a number of reasons children or teens with ADHD may have difficulty with compliance that have nothing to do with being deliberately defiant. These include (a) their struggle inhibiting and controlling their behavior (b) being unable to readily stop and disengage from what they are doing (particularly if it is a fun activity or of high interest to the child) or (c) not being able to quickly switch gears at the adult's request to do something that is less motivating. In addition, (d) inattention reduces the likelihood that the child actually listened or heard the directions and (e) working memory weaknesses may also result in the child more easily forgetting the directions that were given. Co-morbidity has also been found between pathological gambling and other psychiatric disorders, including clinical depression and other mood disorders, anxiety, attention deficit hyperactivity disorder (ADHD), and personality disorders (Blaszczynski & Steel, 1998 Carlton, et al., 1987 McCormick, et al., 1984). Bupropion (Wellbutrin, Wellbutrin SR, Zyban) appears to work by inhibiting the uptake of dopamine and norepinephrine. Bupropion has a low incidence of sexual side effects. In addition to its efficacy in treating major depression, bupropion has been shown to be effective in smoking cessation (marketed as Zyban) and attention deficit disorder. Bupropion has a higher than average risk of seizures compared with other antidepressants. The risk of seizures is greatest above a daily dose of 450mg or alter a single dose of greater than 150mg of immediate-release bupropion. Cyclobenzaprine (sigh-clo-BEN-zah-preen) is often thought to be a muscle relaxant, but chemically it is more aligned with tricyclic antidepressants. Used at night, cyclobenzaprine may help people with mildly disordered sleep. Unfortunately, when used during the day, it can contribute to fatigue or fibro-fog. Dopamine agonists (compounds that mimic the effect of the neurotransmitter dopamine) are increasingly used in FM. At low doses they are helpful for Restless Legs Syndrome (RLS). At higher doses they can treat many of the symptoms of FM. 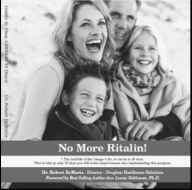 Stimulants such as Ritalin that are commonly used in attention deficit disorder (ADD) are sometimes prescribed for daytime fatigue and fibro-fog, though currently there is scant evidence to support the use of these agents. Provide for students (particularly ADHD students) who have a physiological need for mobility. Build in many movement opportunities throughout instruction. Be aware of their need to exercise, and avoid using loss of recess time as a consequence for misbehavior or incomplete work. Allow exercise breaks, running the track, and doing errands for the teacher that enable children to leave the classroom (for example, to take something to the office). Build in stretch breaks or exercise breaks after sitting any length of time (Rief, 2003). Students with ADHD need a desk or table with as much tabletop space as possible, with tools and structuring to limit the clutter. Help children minimize the amount of materials on and in their desks. Some do better with a basket or box on the floor next to the desk table for keeping needed papers and books easily accessible and visible, but not on the desk or tabletop until needed. Roughly 30 to 60 percent of children with ADHD also have specific learning disabilities. Among the various learning disabilities, reading disorders are most common. Some children have specific processing deficiencies (auditory or visual perception, short-term memory, phonological awareness, or receptive expressive language) that affect their acquisition of reading skills. But an appropriate remedial reading program can help learners make great strides. With age, and appropriate help from parents and clinicians, children with ADHD become better able to suppress their hyperactivity and to channel it into more socially acceptable behaviors. Onset of illness assessment of functioning in these same subjects found a marked deterioration in academic achievement, work effort, peer relationships and extracurricular involvement 29 . Similar results have been shown in prepubertal and early adolescent bipolar populations. Geller et al found that 93 prepubertal and early adolescents with BD had significantly poorer psychosocial functioning in a variety of spheres, including maternal, paternal and peer relationships, as compared with 81 children with attention deficit hyperactivity disorder (ADHD) or 94 community controls 30 . Differences in the symptomatic expression of BD in youth versus adults have not been consistent across studies. For instance, Ballenger et al 31 found psychotic symptoms to be more common among manic patients under the age of 21 as compared to manic patients over the age of 30, yet McElroy et al 32 in a larger, more recent study, found that adolescents had fewer psychotic features during mania than adults. There has been more consistency in the findings that youth with BD appear to have higher rates of mixed mania 32-34 and rapid or ultra-rapid cycling 33 . Of interest, an Indian study found that 21 youth with DSM-III-R diagnosed BD had presentations that were very similar to adults with the illness. The most common symptoms among the youth with mania were psychomotor agitation (100 ), reduced sleep duration (90 ), and pressure of speech (90 ). Rapid cycling was only evident in 19 of the youth, and none had a comorbid diagnosis of ADHD 35 . Historically, minimal brain dysfunction (MBD) was the term used to define and classify learning and behavioral difficulties now classified under the category of attention deficit hyperactivity disorder. It generally includes hyperactivity, impulsivity, and any of a number of learning and language disabilities such as dyslexia and problems with math. According to Sousa (2001), about 6 percent of school-aged children have some form of difficulty with processing mathematics. Among those children are frequently students with learning disabilities and or ADHD. This section will address common mathematical difficulties, current information regarding math standards and expectations in grades K-12, numerous strategies to build math skills and proficiency, as well as various accommodations modifications for struggling students. Your daily habit patterns create the state of the environment and fruit in your life. I treat many children who have behavioral and emotional issues that are categorized as Attention Deficit Hyperactivity Disorder (ADHD), Attention Deficit Disorder (ADD) or Hyperactivity. I have noticed a number of these children have parents with similar patterns. Sometimes I have to be firm with parents, helping them see that their choices and habits are mimicked by the fruit of their womb their children. A common eating pattern is soda consumption. Soda is loaded with ingredients that stress the liver and nervous system. Sodium benzoate which is used as a preservative can be a cause of chronic allergies and ADHD or ADD. Grazing on partially hydrogenated snack foods impairs the body's ability to make essential brain fat. You may need to tend to your own garden more effectively. As ADHD is a chronic disorder that is managed not cured (such as asthma or diabetes), various supports and treatments (Rief, 1998, 2000) will typically be needed throughout childhood and adolescence. The most effective approach in treating ADHD is multimodal, involving a number of interventions from a variety of different professionals and service providers. A physician or mental health professional evaluates the child for ADHD. Treatments outside of school may include counseling for the ADHD child teen, his or her parents, or the family. Often it involves a combination, with counseling of various types (for example, by clinical psychologists) as needed at different times in the child's life. Support groups for parents of children teens with ADHD will be comprised of a number of people who can serve as resources and support a very helpful intervention for parents. Most students with ADHD require close monitoring and mutual support between the home and school to be successful.